Whether you want to plan a first date to impress someone special or are looking for ideas on daytime adventures, we have you covered. Here are some recommendations on what to do together in Cork—with a match for every mood. For a first date, a place with options to fit your mood is best. At Electric, you can choose between drinks at the bar, snacks at the fish bar, or a full meal at the restaurant. Known as a hub of social life in Cork, this spot can evolve as the night goes on, allowing you to have dinner and after-dinner drinks all in one place. Overlooking the River Lee, this restaurant has a beautiful backdrop for a memorable first date. When it comes to planning the perfect day date, you’re looking for a precise combination of activities. Sure there should be eating and drinking, but the location should be scenic, and some activity should be involved. In Cork, historic Blackrock Castle perfectly matches this description. This 16th-century castle is located just 2 kilometers from the heart of Cork City, but has a lovely café (with some outdoor seating) for brunch, lunch, dessert, or just drinks. After checking out the castle and the observatory, you can also spend time on the scenic walking trails too. Adventurous dates are about two things: getting outdoors and having an adventurous spirit to try something new together. 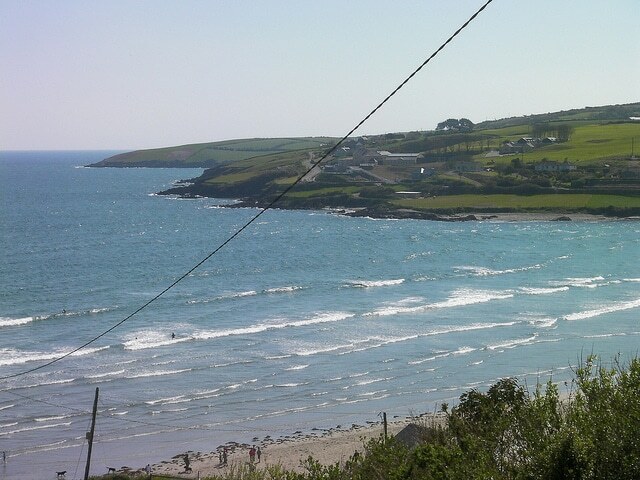 Inchydoney, located in West Cork about a 1 hour and 5 minute drive from Cork City, is a beautiful place to take your first surfing lesson. Here you can sign up for lessons at the Inchydoney Surf School (surfboards, wetsuits, gloves, etc are all included in the lesson price). Getting in the water together—along with the beautiful dive to reach Inchydoney—will be both adventurous and romantic. A little wine, a little live music—these are the makings of a great romantic date. In Cork, L’Atitude 51 is a wine café and music venue on Union Quay with craft beers and ciders in addition to a great wine list by the glass or bottle. Small dishes are designed for sharing, encouraging couples to get close over dinner (wine flights are on offer too). Wine workshops and live music performances, such as Spanish guitar music, fill the nighttime schedule at this popular spot.